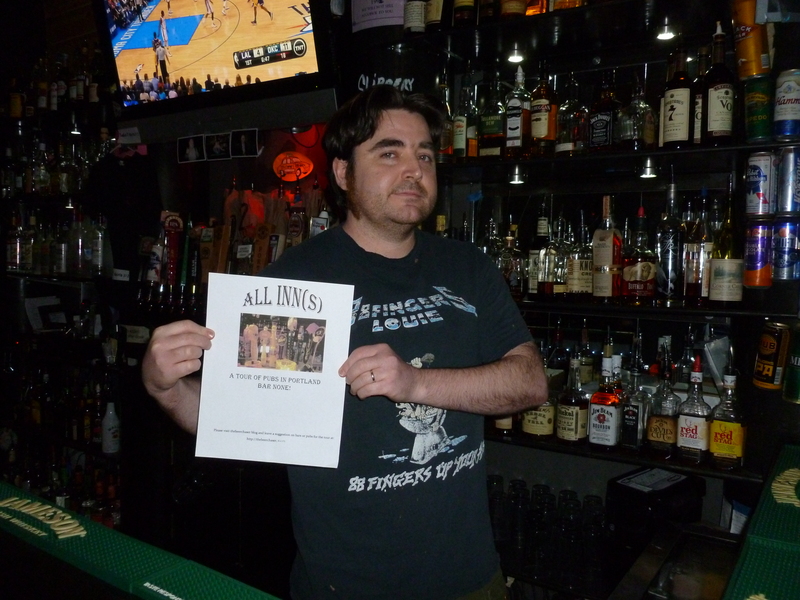 A Tour of Pubs in Portland– Bar None! 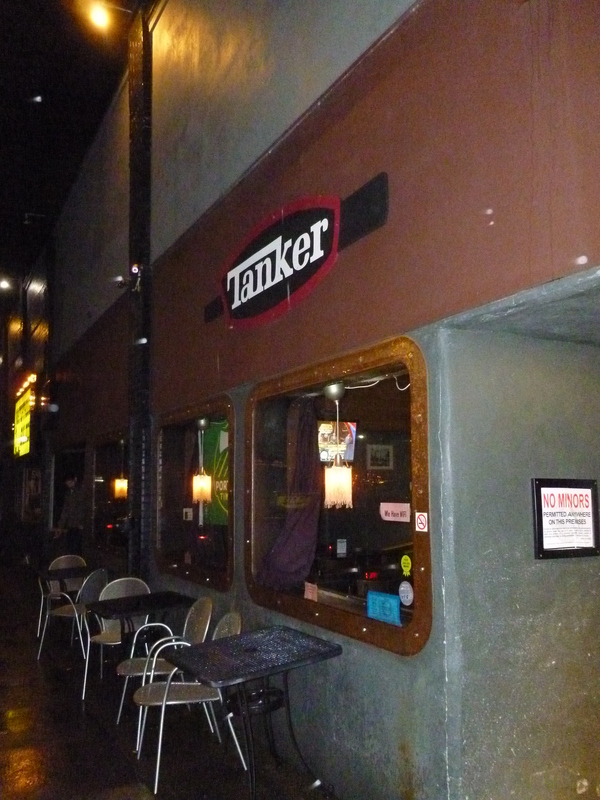 Tanker Bar – Here Comes the Armored Cavalry….But Wait…..
Tanker is another one of the great taverns located in Portland’s “Barmuda Triangle” (BT) on Hawthorne Street (see Beerchaser post on October 3, 2012). 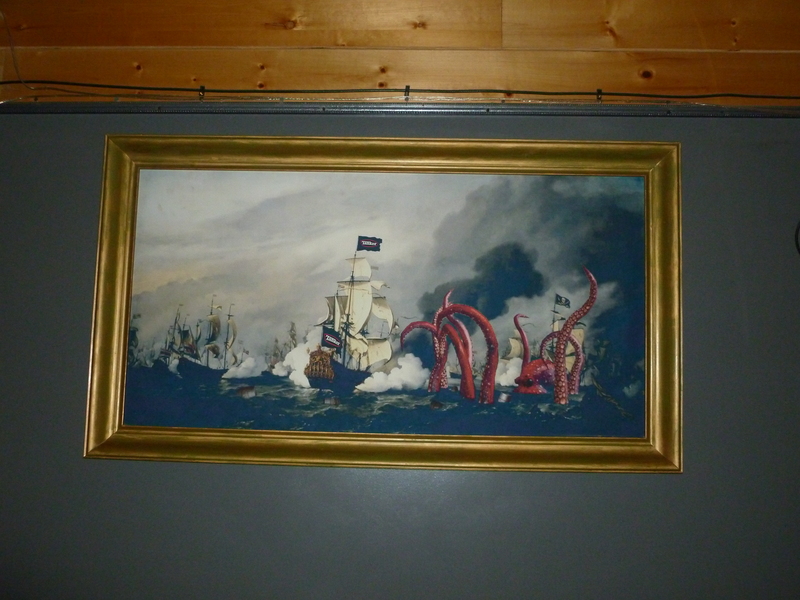 And while it might be assumed that the moniker for this bar is a tribute to the “iron beasts” that General George Patton used when he commanded the US Third Army to help defeat the Germans in World War II, it is actually named for the magnificent and mammoth ships that haul cargo in the Columbia and the world’s various waterways. “…..in the heart of the Stumble Zone, lies the capsized hull of The Tanker. The sea-worthy attention to detail shows freshly swapped decks and a total lack of barnacles……. After having a beer at Beer on Belmont Street (see Beerchaser post on April 7, 2013) Portland Attorney and Beerchaser of the First Quarter of 2013, Jim Westwood, and I hit Tanker for dinner and a nightcap. You might remember that Westwood has advanced linguistic skills and his late and wonderful mom, Catherine, happened to be both his and my Latin teacher at Oregon City High School, which was fortunate that night. And who says High School Latin was not a useful course?? 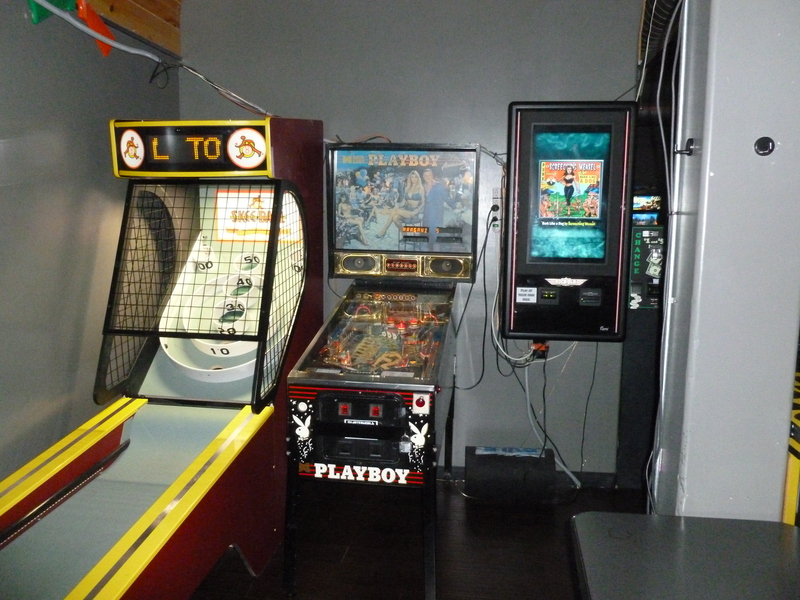 A game in which one tries to shoot the life out of galloping electronic gazelles led me to question Jim about his prior legal work in Oregon Firearms Education Foundation v. State Board of Higher Education, a 2011 case regarding regulation of firearms on Oregon university campuses. While the Oregon Court of Appeals ruled against Jim’s client being able to regulate guns by Administrative Rule, the court opened the door by affirming the State Board of Higher Education’s authority to control its property. This enabled the Board in 2012 to unanimously adopt a policy that bans guns from most corners of campus life. Mandatory Background Checks for BBH as a start??? 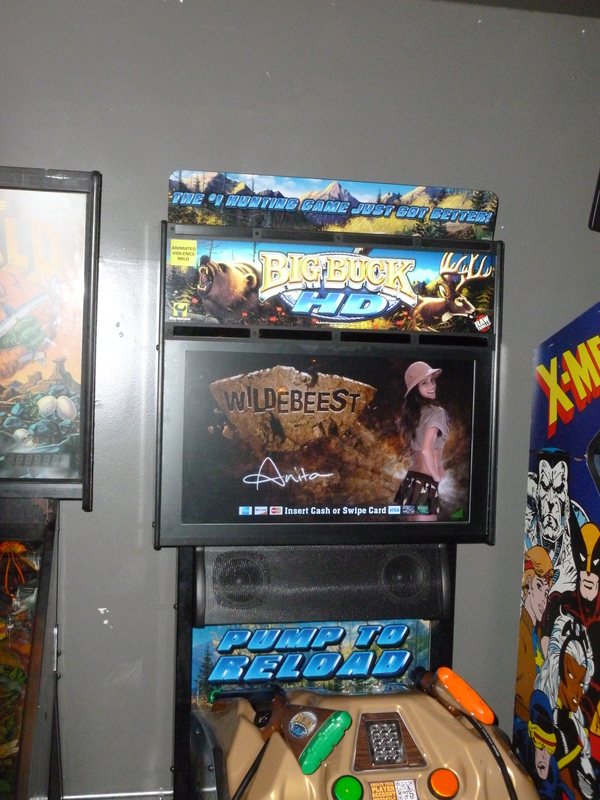 I suggested that possibly a reasonable first-step towards rational gun control policy would be to persuade Wayne LaPierre, of the NRA, to agree to support mandatory background checks for people who play Big Buck Hunter. Possibly a good strategy, but he would undoubtedly bemoan government intrusion while asserting that the Founding Fathers intended the Second Amendment to include electronic weapons and besides, Big Buck Hunter provides a training ground for a well-regulated militia. Name Your Tall Boy and Join the Can Clan…. 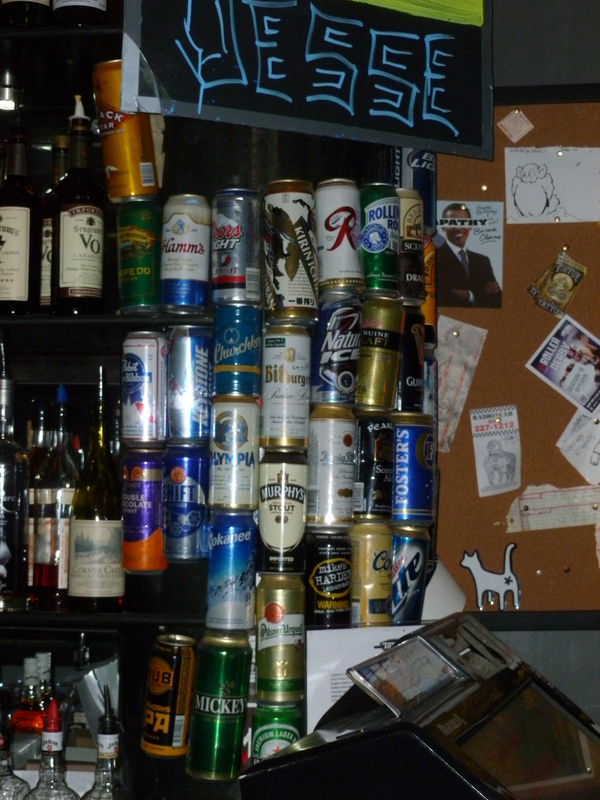 Besides their 15 Taps, Tanker has 42 different varieties of Tall Boys and more than 30 whiskeys. Drink one of each type of Tall Boy and you become a member of the “Can Clan” and get a free t-shirt and a $1 perpetual discount. The same is true once you have downed one shot of each of their 30 varieties of whiskey. They have a lot of “regulars” for the variety of events they host and feature Trail Blazer and Portland Timber games on their five big-screen TVs with drink discounts. 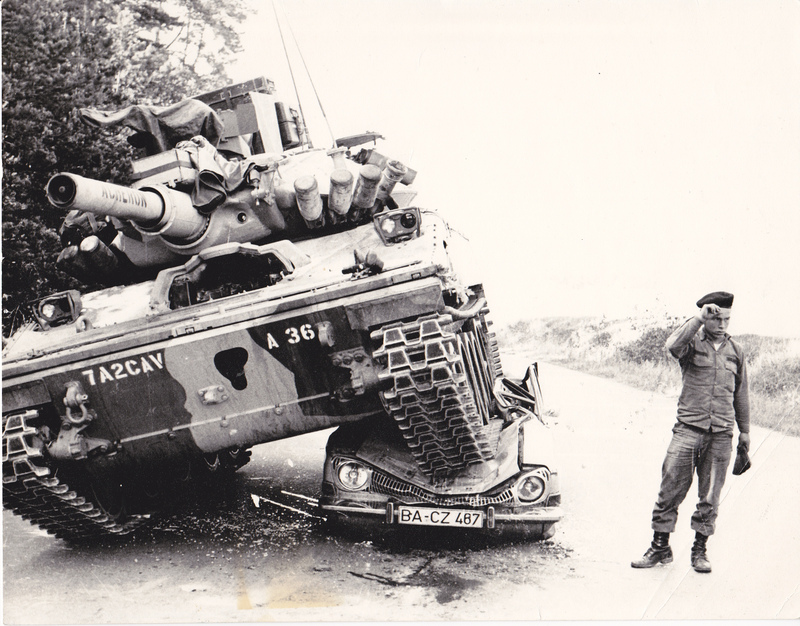 And While we are on the Subject, A Brief Tribute to My Favorite Tanker…. 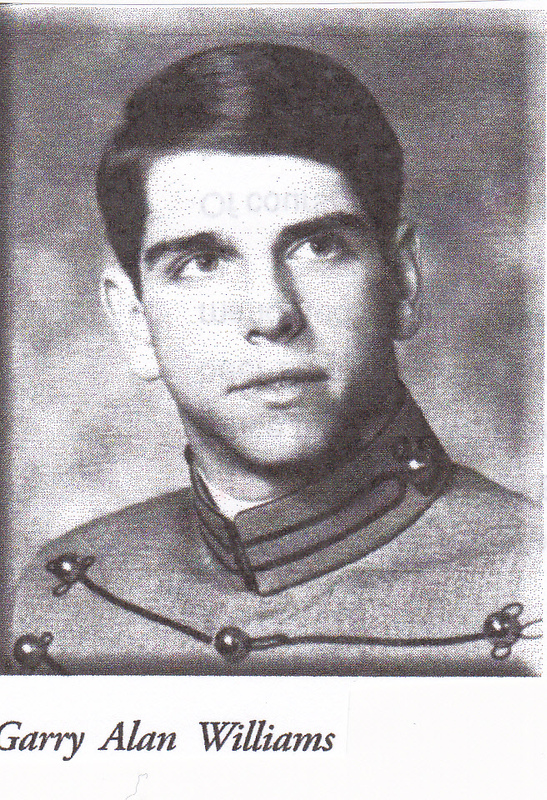 Thebeerchaser’s brother, Garry, was a West Point (Class of 1972) graduate who chose the Armored Cavalry i.e. Tanks, as his occupational specialty. During his time at West Point, he was a member of the West Point Glee Club and a small combo in that group called The Headliners. 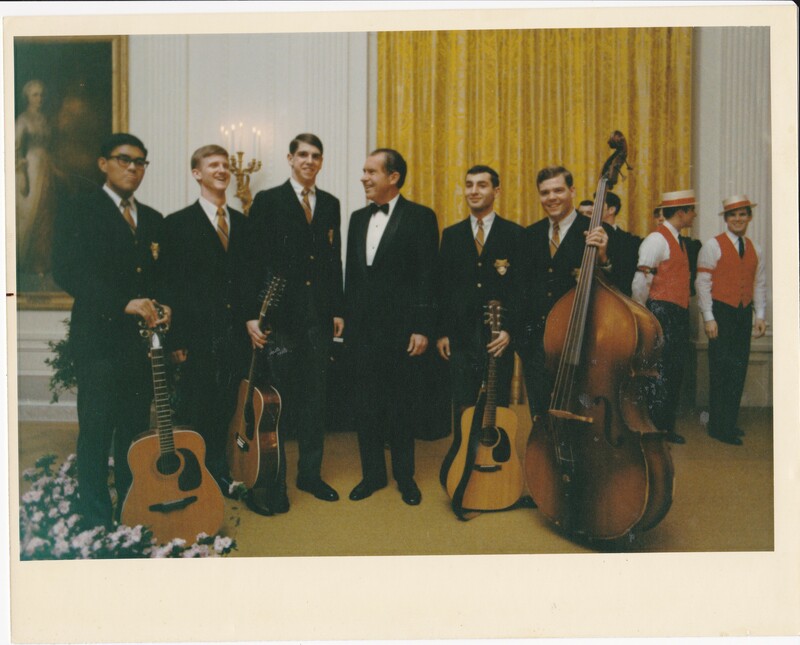 As the picture below shows, they played at the White House for President Nixon and also appeared on the Mike Douglas show on CBS national television. “Lt. Williams judgment is of the highest order – totally dedicated to improving his subordinates – devoted to his duty and the battalion. After the military he worked at Tektronix for several years and married a beautiful lady named Pam. Unfortunately, Garry died in 1989, but this post and a round of beer is dedicated to his memory. When you’re in the Stumble Zone, give Tanker a try even if it is not on a Naughty Tuesday Night. 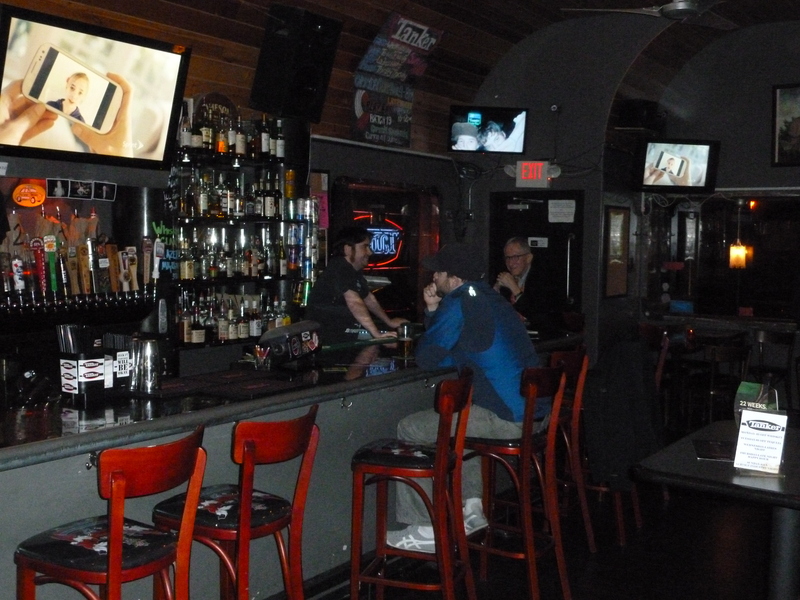 As one Barfly reviewer summed up quite succinctly, “good bar, good times, good vibe…”And the food was good too – ask for the chicken quesadilla which Jessie cooked himself and was one of a number of good items on Tanker’s menu.